Everyone is shocked to hear my response when I explain that my principal has shared several research based articles which show that homework in elementary school has no impact on academic success. 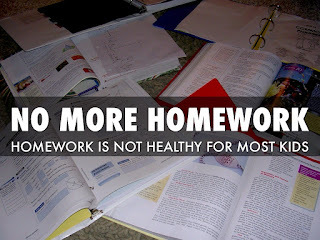 I share that my fifth grade colleagues and I have made a conscious decision to do away with reading logs, and really limit the amount of homework we give each night. My friends are shocked to hear that we have done away with our vocabulary workbook and instead we have looked for authentic ways to have our kids engage in meaningful word study work. Friends are surprised to learn that on most nights our kids are given a maximum of five math problems to practice at home, and that our students are never told what to read or write about at home - we try and give our kids freedom and flexibility. Instead of excessive amounts of homework, we encourage our kids to explore their interests and passions in their free time. We want them to read for pleasure and write for real reasons. We expect them to play outside and enjoy time with their families whenever possible. We respect the fact that our kids have very busy extracurricular lives - whether they go to an after school religious school or a sport, they are growing in other ways and pursuing other interests. We recognize that during the school day we challenge our children and expect a lot of our ten-year old "babies" - they are still children. Everybody deserves a little “down time”. Does everyone agree with our practices? Not necessarily. Do we get questions? Yes. In fact, the parents in our class used to question whether or not our students would be prepared for middle school, given our homework philosophy (or lack thereof). Our answer is that our kids are prepared for middle school because we foster a positive attitude towards learning, make connections with our kids (and their families), build self - esteem, address social emotional skills, and create a learning environment that fosters independence and empowers our kids. In my opinion, these skills are way more important than any book report, spelling assignment, or workbook page that so many teachers and kids are wasting precious time on each and every night. So many families need to learn about how stressed kids can become by the time they get to middle school. By the time they get to high school, the level I teach, fostering a love for learning seems fruitless. It's as if school is about work, not learning. I have a 15 minute policy. Three or four days a week, my AP history students do 15 minutes of homework. If they are struggling and 15 honest minutes is not enough to finish, they communicate via Remind or email. This almost never happens because the assignments are of a reasonable design. 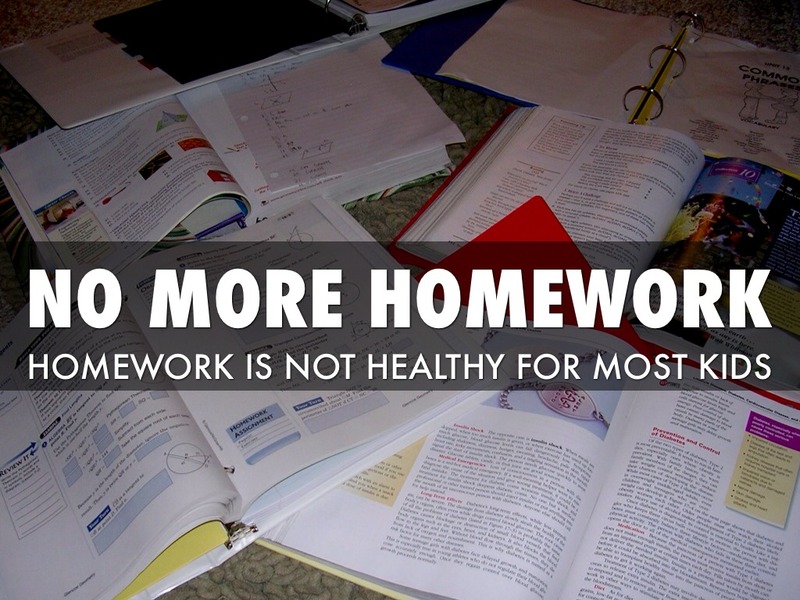 Homework is an issue that I feel passionate about because I've seen achievement increase with fewer minutes. As a parent, my kids homework is very reasonable for elementary-aged kids and I am thankful for that. Thanks again for sharing. The convo needs it!